ExpressVPN is one of the most commonly recommended VPN services for users of nearly all profiles. It is definitely one of the smartest choices you can make in terms of VPN protection. However, its exquisite set of security features has parallels in a number of excellent VPN services currently on the market. We bring you a complete list of the best ExpressVPN alternatives. NordVPN has one of the best Windows clients we have ever seen. It is compatible with all major platforms and can be used on 6 devices simultaneously. It offers great speed, multi-hop connections, DNS leak protection, and allows P2P. PureVPN can be used on virtually any device that may require VPN protection and allows 5 simultaneous connections. It comes equipped with DDoS protection, NAT firewall, a kill switch, and split tunneling. It allows P2P sharing. CyberGhost has 600+ servers all over the world. It uses military-grade encryption, offers good speed and unlimited bandwidth, and features an anti-fingerprinting system, malware and ad blockers, and DNS and IPv6 leak protection. VyprVPN has over 700 servers and 200,000+ IP addresses. It offers unlimited bandwidth, speed, and server switching, plus NAT firewall and its own encryption protocol. It can be used on 2-5 devices at the same time. Buffered VPN works on all major operating systems, as well as routers and Smart TV, and can be used on 5 devices simultaneously. There are no DNS leaks, the speeds are good, and performance is excellent. There are no bandwidth limits. To identify the best alternatives to ExpressVPN, we first needed to successfully recognize the reasons why users opt for this service. These reasons overlap with the most prominent features of the service. Therefore, the VPNs we selected as the best ExpressVPN alternatives needed to possess nearly all or all of these qualities. Here is a detailed list of the ExpressVPN features we used as criteria in our selection process. First of all, ExpressVPN is easy to use. It features an extremely user-friendly interface which requires little to no knowledge about VPN technology. It allows for effortless navigation: server selection and switching require a single click and all the features are clearly visible and readily accessible. ExpressVPN is compatible with all major platforms, including Windows, Mac, Linux, iOS, and Android. It is also compatible with routers and offers handy Chrome, Firefox, and Safari extensions. That means that you can use it on nearly all of your devices and integrate it into some of the most popular browsers, so there is no need to worry that it will not work on the device of your choice. On top of that, you can use it on 3 devices at the same time. The service has more than 1,000 servers in 94 world countries, allowing you to access blocked content from virtually anywhere in the world. It boasts excellent speeds and incredibly smooth performance. With ExpressVPN, there are no annoying limits that would diminish the quality of user experience. You get to enjoy unlimited bandwidth, speed, and server switching. ExpressVPN is P2P-friendly, which is highly important, as torrents are one of the main reasons why people use VPN protection. What is more, all of its servers can be used for torrenting, so you are not restricted to just a couple of overloaded dedicated P2P servers. The service has adopted a strict no-logs policy and it allows you to pay with Bitcoin. This guarantees complete anonymity and carefree browsing, streaming, downloading, and torrenting. Finally, ExpressVPN is reasonably priced considering the quality of service it provides. If you opt for an annual subscription, the price per month goes down significantly, so you can enjoy premium quality protection without breaking the bank. The VPN services featured on the list above meet and in some cases even exceed the high standards set by ExpressVPN. For example, Buffered VPN allows you to use its service on 5 devices at the same time and NordVPN offers 6 simultaneous connections in comparison to 3 offered by ExpressVPN. 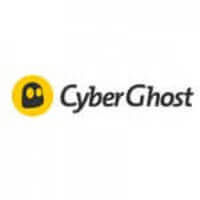 CyberGhost offers excellent protection at nearly half the price of ExpressVPN’s subscription. PureVPN features NAT firewall and split tunneling and can be used on an incredible range of platforms and devices, including consoles, Smart TV, Roku, Chromecast, and Amazon Fire. VyprVPN boasts unbelievable speeds and has its own encryption protocol called Chameleon. Each one of these services does not only constitute a great alternative to ExpressVPN but is also an amazing VPN service in its own right. That is why they are not only our top choices for replacing ExpressVPN but they are also featured on our ultimate list of the best VPN services available at the moment. Want to find out even more about ExpressVPN? Make sure to check out our ExpressVPN Review for detailed information about this VPN provider.